Fraser Island is the largest sand island in the world, stretching over 123 kilometres in length and 22 kilometres at its widest point. The highest dune is 244 metres but most rise to between 100 and 200 metres above see level. Drilling has shown the sand extends to 100 metres below sea level in places. Most of the sand comprises grains of quartz (silica), with less than two per cent being other minerals such as rutile and zircon. In 1972 UNESCO adopted the World Heritage Convention to protect special places for all humanity. 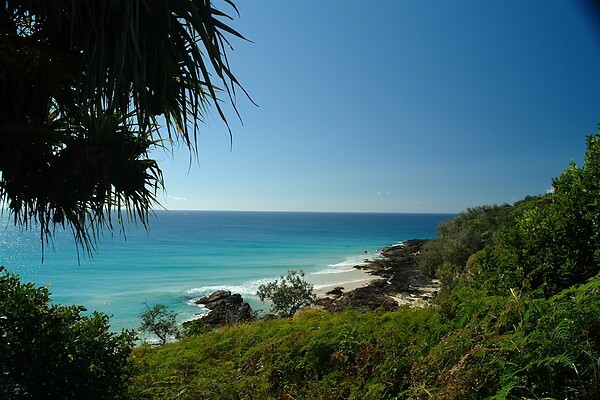 Fraser Island was listed by UNESCO in 1992 in recognition of its natural values. The official citation pays tribute to the island’s exceptional natural beauty and refers to over “250km of sandy beaches with long, uninterrupted sweeps of ocean beach, with more than 40km of strikingly coloured sand cliffs, as well as spectacular dune blowouts, ocean surf beaches, spectacular tall rainforests growing on low nutrient sands, perched dune lakes including both clear white water lakes and dark black water lakes, banksia woodlands, heath, patterned swampy fens and sheltered mangrove areas in a spectacular mosaic landscape”. Fraser Island provides a globally significant example of geological processes and biological evolution including complex coastal dune formations that are still evolving, an array of lakes that is exceptional in terms of number, diversity, age and the evidence of dynamic and developmental stages along with outstanding examples of ecosystems that have developed in response to maritime conditions and poor soils in coastal dune formations. Separating Fraser Island from the mainland the Great Sandy Strait is listed by the Convention on Wetlands of International Importance. The wetlands include rare patterned fens, mangrove colonies, sea-grass beds and up to 40,000 migratory shorebirds. Rare, vulnerable or endangered species include dugongs, turtles, Illidge’s ant-blue butterflies and eastern curlews. The shifting sands of Fraser Island and those of nearby Cooloola, have continually concealed and revealed a unique geological history. The dunes have the longest and most complete age sequence of coastal dune systems in the world. While most of the sand that makes up Fraser Island has come from the far south-east of Australia, some of it has travelled for thousands of kilometres and millions of years from Antarctica, starting its journey before landforms Australia and Antarctica were separated from each other. Mobile sand blows formed by the prevailing south-easterly winds, progress across the island often burying forests and other plant communities. The rate of movement of the dunes each year depends on factors such as wind strength, the amount of moisture in the sand and plant colonisation. There are three rocky outcrops of igneous rock from volcanic activity on the island. Indian Head is the most prominent landmark on Seventy-Five Mile Beach. The 60-metre high rocky bluff, shaped rather like a whale, is a spectacular viewing platform. You can often see birds of prey resting on the cliff tops and sharks and stingrays swimming in the clear waters below. Middle Rocks contain the largest true rock pools on the island being Champagne Pools, also referred to as The Aquarium. They form superb natural fish traps and were used as such by the Aboriginal people. Washed by waves at high tide, the bubbling sea water makes them excellent swimming holes. Waddy Point is the northern-most outcrop. Fraser Island was first sighted by Captain James Cook in 1770 while travelling up the east coast of Australia. Captain Cook named the island “Great Sandy Peninsula” in the mistaken belief it was connected to the mainland. In 1799 Matthew Flinders in the ‘Norfolk’ explored parts of Hervey Bay and discovered the peninsula was in fact an island. In 1836 Captain James Fraser on the brig ‘Stirling Castle’ was wrecked at Swain’s Reef, north of Fraser Island. The survivors travelled south in a life boat and eventually found themselves marooned on Fraser Island. Of them, only Eliza Fraser, the wife of Captain Fraser, survived. Europeans named the island after Captain James Fraser. The Butchulla people are the indigenous people of Fraser Island. The tribal lands of the Butchulla extended from Burrum River in the north, south to Cooloola National Park and west to Mount Bauple. The Butchulla people’s name for Fraser Island was k’gari, pronounced Gurrie, which means paradise. The Butchulla tribe consisted of six clans, giving permanent population of about 700. This population increased to around 2,000 during winter when other tribes would visit to feast on fish such as tailor and mullet. There are now few living descendants. The shifting sands of Fraser Island and those of nearby Cooloola, have continually concealed and revealed a unique geological history.